Concordia’s Board of Governors has approved a tuition hike for the John Molson School of Business’s (JMSB) Goodman Institute for Investment Management. The Goodman Institute offers a diploma, master’s and MBA in investment management. The increase, which will not apply to current students, will mark the first time since the Institute’s creation in 2001 that domestic and international students will pay different fees. The programs’s fees have been $18,000 a year for all students since 2012. In fall 2019, annual tuition will increase by $4,000, totalling to $22,000 for domestic students, and by $9,000, totalling to $27,000, for international students. Tuition for all students will then rise by $1,000 annually in 2020 and 2021. 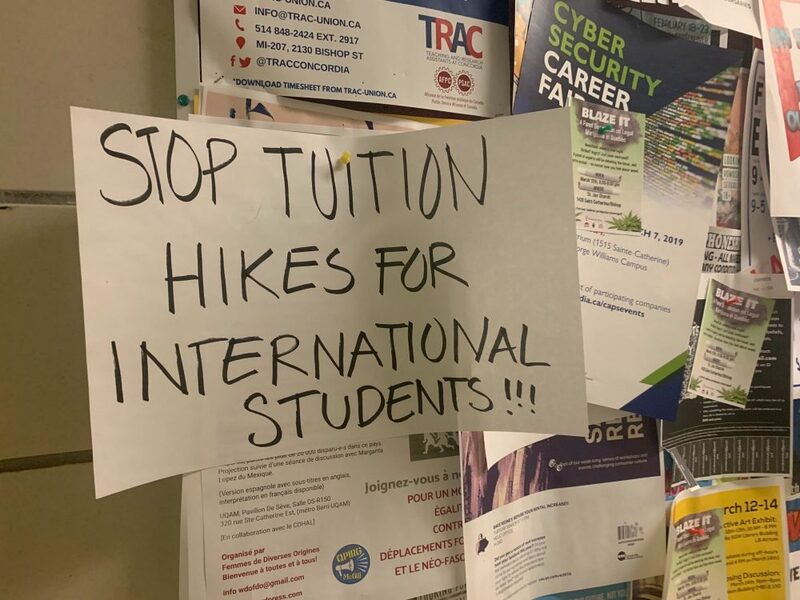 This means a three-year master’s degree will cost $72,000 for domestic students and $87,000 for international students starting in fall 2021. The changes were approved by the board in a meeting on March 13. In a PowerPoint presentation dated Feb. 25, which was included in the documentation for the meeting, JMSB Dean Anne-Marie Croteau cited increases in: costs for technology and space; international enrolment; and “students’ needs related to professional and career development support” as reasons for the hike. “We need a financially healthy program in order to make the changes necessary to keep the program as one of the top offerings of JMSB,” the report reads.